Amazing Animatronic: I have to say, if this is real and not a CGI effect, its pretty darn cool. Disney held a press conference featuring Joe Rohde and Jon Landau. They discussed many of the things we already know although there is some new footage of the light effects and some discussion about how the land will tell a story. 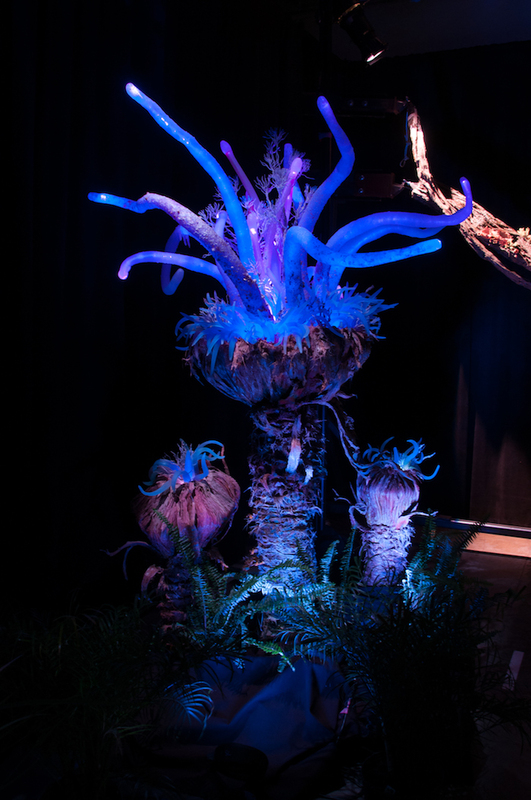 But they save the best for last: an up close look at what is purported to be an audio animatronic of a Na'vi. Its incredibly life like. The close up is on the face and you can even see "muscles" moving in the cheek. If this is for the boat ride, I am not sure how guests will be able to appreciate the details, but that's for another day. Watch this video from Inside the Magic until the end. It won't disappoint. 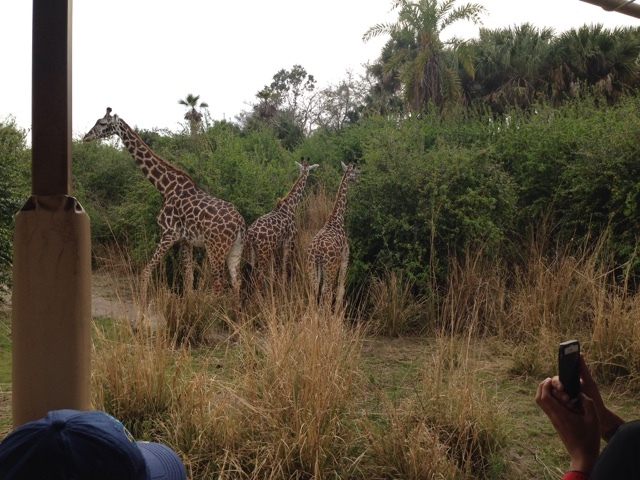 Entertainment Tests: Some of the entertainment you will see at night in Harambe is starting to come out for testing. 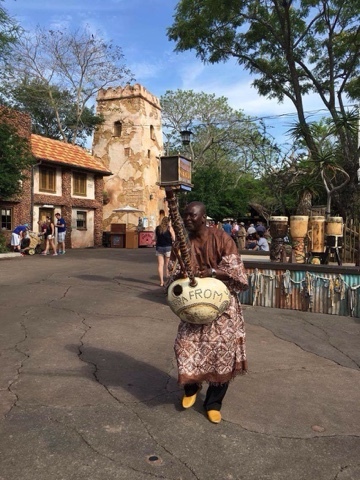 The Harambe acrobats and the Karibu sisters are playing during the day as we await Memorial Day and the shift to evening park hours. Both seem excellent. Happy Mother's Day: Disney released a video on the parks blog about some of the new babies at the park, including their moms. Below is a giraffe mom with 2 of the babies that were born last year. So, Happy Mother's Day to all of you moms out there.